Our Apricot Seeds (Kernels) are raw and untreated, NOT cooked, or processed in any way and are one of the top 10 super seeds! 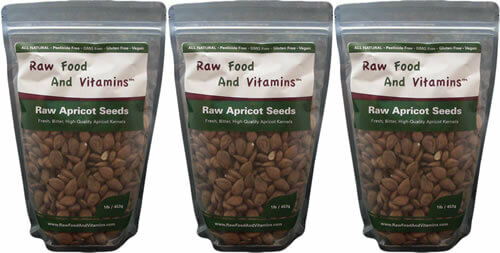 These seeds contains B17, B15 and natural enzymes in a raw food. You can grind them into powder for salads, smoothies, or put them in empty gel caps to take them like a vitamin pill. See our gel caps and fillers for more information.